High school graduation has come and gone. The kids are now excitedly getting ready to start university. Frosh week is around the corner. On one hand, you are so proud, on the other hand, you naturally feel a sense of loss. There are no new children to take the place of the grown people you once carried as babies in your arms. It doesn’t really matter if you were a hyper-focused helicopter or more laissez-faire parent—we all need a technique to manage our sense of loss. Learning the Transcendental Meditation (TM) technique helps you manage the memories that bring you comfort and sadness at the same time. As you admire your child’s zest for life, you will proudly acknowledge that yes, they are ready for this new stage and so are you! TM helps you manage the unsettled feelings linked to empty nest syndrome. Empty nest syndrome refers to the feelings of depression or grief that parents may feel after a child leaves home. It usually happens when they start university but it can also happen when they go to summer camp, boarding school or get married. 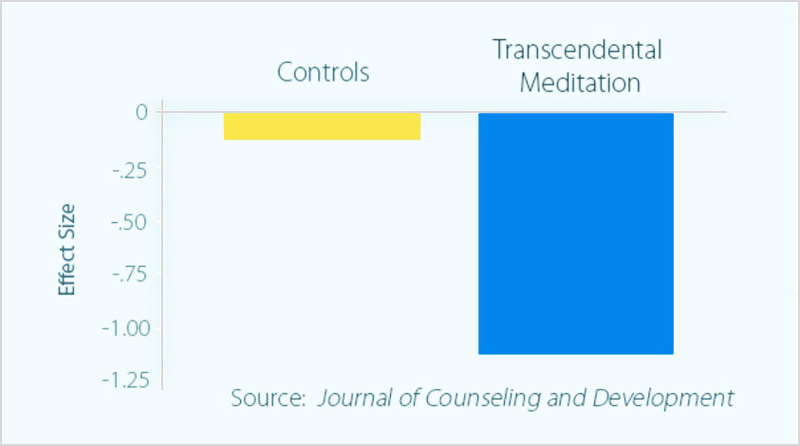 Transcendental Meditation has a balancing effect. Research shows a decrease in depression with the regular practice of TM. Many patients suffering from post-traumatic stress problems who learned the TM technique showed a significant reduction in depression after four months, in contrast to others who were randomly assigned to receive psychotherapy and did not show a significant reduction in depression. Reference: Journal of Counseling and Development 64:212-215, 1985.